Having A Father Son Day Every Once In a While Helps You Building a Strong Connection With Your Kid. Learn How to Make Your Birthday Such a Day! But on MY birthday I want to do something special. And when I happen to call out a Father Son Day, I want to do something special as well. Hence, MY birthday is a great opportunity to combine these two! 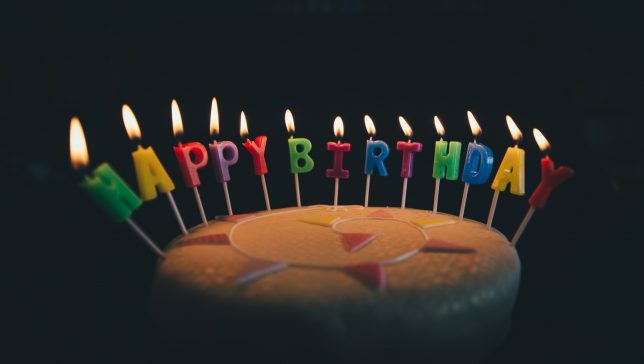 The great thing about YOUR birthday is that local businesses often make it very easy to do something special, and it usually will even save you money! Our local movie theatre, for example, offers free popcorn on your birthday. If you are a registered customer, they will sent you an e-mail with a coupon code that you can then use when you visit to watch a movie within the next seven days. Go ahead, leverage offers like that to your advantage! As you probably are aware of: Many companies allow for free admission if your child is below a certain age. Usually that would be something like the age of three, maybe. Here’s the thing: When your kid has free admission anyways, and you have free admission because it’s your birthday, then, well, you can enjoy a great time without absolutely any expenses, zero, nada, niente! There’s even another thing why you should use opportunities like that. Let’s be honest: Days in theme parks can become super expensive. There’s admission in the one hand, but there are even many more “hidden” expenses. One of the most expensive things in theme parks is food, right? The thing is: When I would go to a theme park for regular admission, I would take of in the early morning, make sure to have as much time as possible to spend inside the park for the high admission fees I would pay. Now, if you have the chance to enter the theme park for free, there is no need to think about that. Because of that, it is totally fine to, for example, enjoy lunch with your family at home, and then take off to go to the park just for an hour or two. 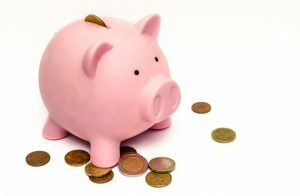 In that case, you can avoid all hidden costs for foods and drinks etc. Is It Worth Going to a Theme Park With a Toddler? Totally, yes! I mean, I get your question: In the above mentioned scenario, it is just you and your kid. And you are probably wondering how to enjoy a theme park as an adult in that case. Simple: Don’t be an adult 🙂 Do what your kid loves, and enjoy it. 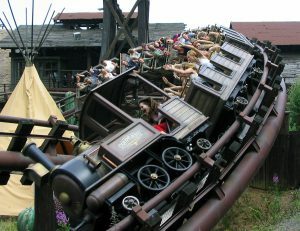 But then again: Most theme parks have beautiful rides for your kids that you and your toddler can enjoy together. 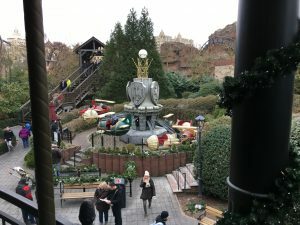 In Phantasialand, for example, they have an entire area dedicated to kids rides, and it can be tons of fun to enjoy them together with your kids! If your local theme park offers free admittance to you as a mom or dad, definitely check this option out. Yeah, today my plan failed. Last year I took off in the morning and took my son to the theme park right away. We were had lunch at the theme park and when we came home in the early afternoon he fell asleep, and everything was just peachy. 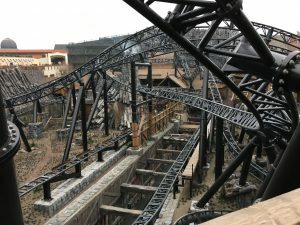 This year, however, since my birthday is a Saturday, my wife and I decided to take Benni to Downtown Cologne first (and get a brand new Lego set as my birthday present 🙂 ); and then she would drop Benni and me off at Phantasialand’s main gate afterwards and pick us up again some time later. BIG FAIL! We had lunch in Cologne and when we arrived at Phantasialand at noon, Benni already fell asleep in the car. Obeying the simple rule (“Never touch a running system!” or in that case “Never touch a sleeping baby!”) I didn’t have the heart to wake him up. I had to go alone, and my wife would take our son home and put him to sleep. I’m back. The ride was AWE. SOME. Great stuff! And here’s the happy end: When I came back I found a text message from my wife, and the idea was like this: She would come together with Benni to pick me up (as we had to drive to yet another birthday party of a friend’s daughter). We still had some spare time so she asked the guys at Phantasialand’s main gate if she could hand our son over to me. 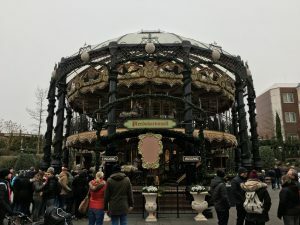 They agreed and Benni and I had a fun 10-minute-ride on the Phantasialand “Horse Carousel”. 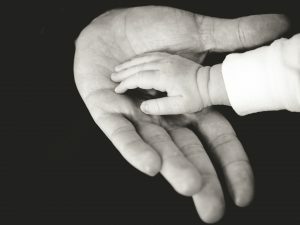 Why don’t you show pictures of you AND your son in your posts and on your blog? My wife and I have established a very strict rule about pictures of our son on the Internet. 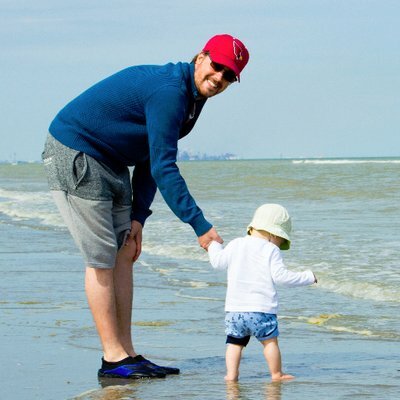 Basically, we do not share any pictures of our son on social media or anywhere else on the internet until he is old enough to decide about this by himself. If you want to know more about our no-pictures-policy, our motivation and why we think it is the right thing to do, you can read about it here. 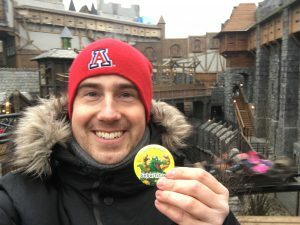 Hi Chris, I love to go to a theme park with little kids, it saves me from the rollercoasters and other crazy fast attractions 🙂 I love to look at those but hate to take rides. All the best to you and your family, Loes, and thank you so much for stopping by! Congratulations. Happy belated Birthday. Good information on how to make our birthdays a father-son day. I have been to a Themed park with my kids but not on my Birthday. I totally agree with you to save cost by eating at home before spending an hour or two at the park. PrIor to now, I used to be of the opinion that Birthdays should be an indoor, or mini out door thing where you invite friends and colleagues. Hi Anuoluwapo – Great name! Where’s that name from and does it have a meaning??? Just curious 🙂 Great to hear you enjoyed reading my article. And thanks for the nice wishes! Hi Merlin! OMG, I’m almost 18 months late to say thank you for your kind birthday wishes. Looks like your comment slipped through, somehow. I’m so sorry!!! Thank you so much. Whether you ever happen to read this or not: Thank you so, so much for stopping by and taking the time to comment. All the best! This is a wonderful idea! I am a single mom, so it would have to be a mother son day 🙂 But I like the idea of using my birthday to do something he would enjoy. Come to think of it, we really have been doing that most of the time all along. I like to see him happy, so on any special occasion, I let him pick our activity or dinner. It works, he’s having fun which means I’m having fun!